(UPDATED 3PM) The children have been safely located and the Camille Crumbly taken into custody. For further information, please contact the Roanoke City Police Department. News release: Roanoke Police need your help locating two missing juveniles. 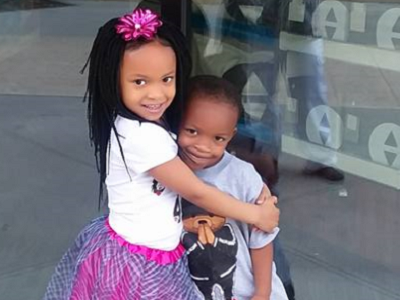 5-year-old Bailey M. Crumbly and 4-year-old Gauge M. Clinton were last seen at their grandmother’s house in the 2900 block of Ravenwood Ave NW Sunday night, but were missing from the home Monday morning. 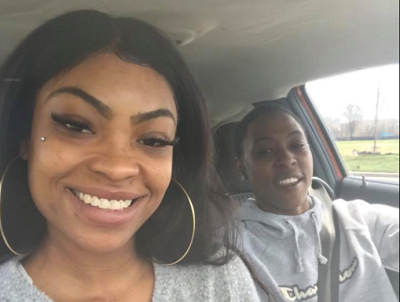 They are believed to be with their mother, Camille Marie Crumbly, and her girlfriend, Tineshia Monae Mack. Crumbly is a non-custodial parent and is not allowed to have contact with the children. Crumbly is now facing charges of abduction and violation of court orders related to this incident. Both Crumbly and Mack have several active warrants unrelated to this incident. They are believed to be traveling north towards Indiana in a white, 2018 GMC Sierra U-Haul pickup truck with Arizona license plates AH 96145. They may be traveling with at least one other juvenile. Anyone with information on their immediate location is asked to call 911 or our tip line at (540) 344-6681.